KATHMANDU, July 5: Acquiring a piece of forest land of 273 hectares at the project site has become a stumbling block for the 900 MW Upper Karnali Hydropower Project. Providing the forest land to the project is an obligation of the Government of Nepal as per the Project Development Agreement (PDA) signed in 2014. 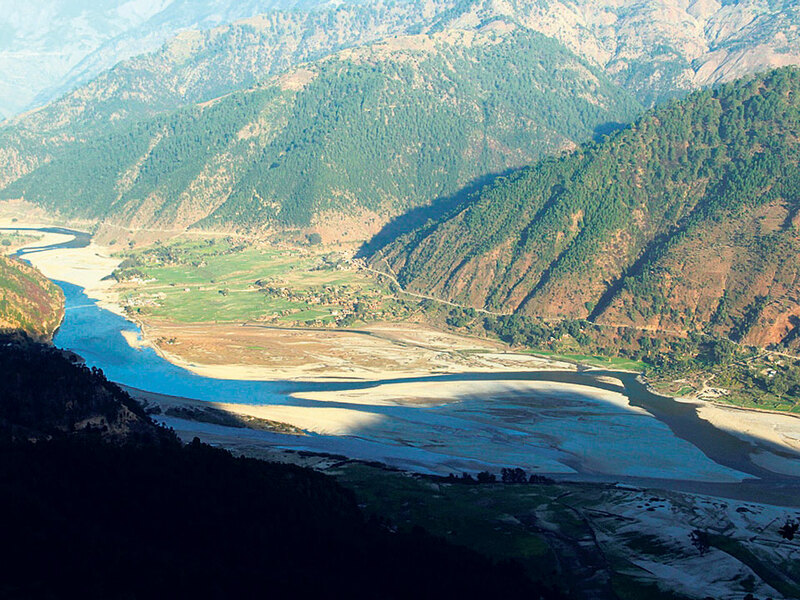 But GMR Upper Karnali Hydropower Limited, the company developing the project, and Investment Board Nepal (IBN) officials say the delay in acquiring the forest land has affected their efforts to achieve the milestones required by prospective financing institutions like The World Bank, Asian Development Bank and others. Speaking at a workshop on "Opportunities for industries in Nepal in construction of Upper Karnali Project", Chief Operating Officer of GMR Energy Hervinder Manocha openly blamed the government of Nepal for deviating from the PDA provisions. “There are certain provisions in the PDA but one ministry has decided to deviate from those provisions,” said Manocha, hinting that the Ministry of Forest and Soil Conservation (MoFSC) was behind the delay in acquiring the forest land. “Asian Development Bank, The World Bank and others have shown interest in financing our project which has to achieve several milestones including land acquisition before it can make investment-seeking proposals to different financial institutions,” added Manocha. The project with an estimated cost of US $ 1.5 billion requires external financing of over US $ 1 billion, according to GMR. The company has to complete financial closure by mid-September as per the extended deadline. MoFSC endorsed a Guideline for Using Forest Area for National Pride Project 2017 in April but the guideline has not addressed the problems encountered by the Upper Karnali project. Instead, the guideline is in contrast with the PDA document. It (guideline) has not owned the government"s obligation to provide government land to the project, according to IBN officials. According to Clause 8 of the guideline, the project developer has to try to purchase private land first in the same ecology to compensate for the forest land acquired. But the guideline is not clear on fixing the compensation amount, say IBN officials. “I have taken the guideline positively as it has clarified several ambiguities but things will depend mainly on how it will be executed,” said Maha Prasad Adhikari, IBN"s CEO. Adhikari expects to enter into a memorandum of understanding immediately to start the process of acquiring the forest land but he said that the implementation of the guideline is yet to start. Paying compensation for the private land has started but the project has not yet signed the Power Purchase Agreement (PPA), a must for signing the financial closure. “We have signed a memorandum of understanding with Bangladesh to sell about 500 MW and another 300 MW will be sold to Hariyana,” said Manocha, adding that a team from Bangladesh will visit the project site soon. But Manocha complained that the political leaderships in New Delhi and Kathmandu have not taken “the complex task of gathering finance for a project of this scale” seriously. Manocha stressed mutual cooperation for project implementation. “There is a need for bilateral push for making this project happen,” added Manocha. The company said it has for the first time opened its project details to its vendors including Indian companies. Over 17 representatives of Engineering, Procurement and Construction contractors from India and foreign countries participated in the program while Nepali manufacturers of cement and steel, bankers, chartered accountants and engineers also took part in the workshop. Nepali cement producers and steel manufacturers assured that they can produce the cement and steel of ISI standard required for the construction of the project also. GMR said it needs 400,000 tons of cement and 47,000 tons of steel for the mega project being built in Achham, Surkhet and Dailekh. An estimated 5,000 persons will get employment in the project during the construction which is expected to take about five years.